Located in the beautiful small town of North Stonington, Jonathan Edwards Winery, at 74 Chester Maine Road, is situated on a 48-acre hilltop overlooking the Atlantic Ocean. Jonathan Edwards creates premium California and Connecticut wines to highlight each coast’s climate. The two diverse product lines complement each other and allow guests to sample delicious wines that showcase what each area is known for. We welcome you to come visit our classic New England style, state-of-the-art winery for a personalized experience in a warm, relaxing atmosphere. We want visitors to be able to share part of their day with us; taste our wines, take a tour of our winery and vineyards, enjoy a picnic, and browse our gift shop for wine related items and special local treats. Each season has its own unique charm, and we encourage you to visit whenever you can steal some time for yourself, with your family, or as a romantic retreat. 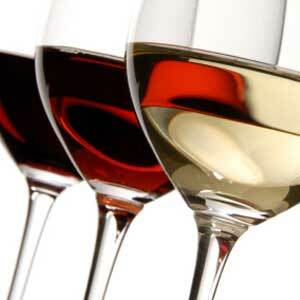 Ct has many great wine destinations and many great restaurant and wine bars. I haven’t been to Jonathan Edwards yet. Very nice winery with a great collection. I was highly impressed.